Unlike the Magician's invocation, "now you see it, now you don't", his invitation to witness the disappearance of an object you know was there, the birth parents in international adoption seem initially to disappear only to take form later on in the queries and wonderment of the developing adopted child. What makes birth parents invisible? With very few exceptions, parents who have adopted internationally will know very little about their child's birth parents. This is often the result of political, cultural and social influences that covertly encourage adoption while overtly enshrouding its practice in shame or other negative social consequences. The result is secrecy. China, for example, has a one-child policy to combat serious overpopulation, and at the same time, economic and cultural influences place a high priority on raising boys. In addition, China does not allow parents to legally relinquish their children for adoption. The result of these opposing forces is that many female babies are abandoned. To the child adopted in China and her parents, this means there is no identification of birth parents and no birth history of any kind. In Russia, on the other hand, it is legal to relinquish parental rights, and economic or other personal hardships often make placement a necessity. At the same time, creating a family through adoption in Russia is shrouded in the shame and secrecy that once prevailed in the U.S. This results in little birth parent information being available other than the names required on legal adoption documents. In the last twenty-five years, the professional adoption community including social workers, psychologists, counselors, researchers and psychiatrists, agree with few exceptions that birth history information benefits the adopted child. It is further generally agreed that knowledge encourage understanding ("why didn't my birth mother keep me?") and acceptance ("now I know") while lack of knowledge encourages misunderstanding ("she didn't want me"), misinformation ("birth parents died in an auto accident"), confusion ("a princess or a pauper?") and suspicion ("maybe I was kidnapped and sold"). For both children and adults in families formed by adoption, birth parents are very real. Although adopted children's level of interest in birth history varies, like all growing and developing children they will pass through a process of individuation when they seek to understand, "who am I?". And in a society that values biological heritage and one where we are understanding more and more about the relevance of genetic information, the adopted person cannot help wondering about his birth connection. For some adoptive parents, the subject of birth parents is uncomfortable and confusing. Acknowledging birth parents can re-awaken the pain and loss associated with infertility. 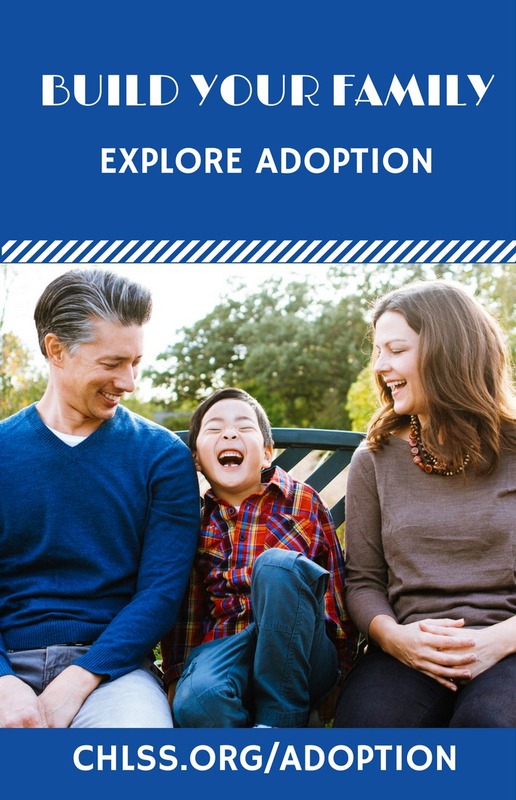 Moreover, the very fact of birth parent invisibility and the vast geographic distances between adoptive and birth parents influence some pre-adoptive parents to choose international adoption over domestic options. Some parents struggle with how they feel about their child's birth parents because they don't know any tangible information. Others feel conflicted because the little they know is not positive. I often hear people comment, "how could those women in China just abandon their child?" Abandonment is a highly charged word. To many it connotes a careless discarding, but I for one doubt that there is anything careless in this process. In my mind's eye I envision a woman who feels she has no real choice, a woman grief stricken as she says good-bye to her baby. My advice to parents is to always give the benefit of the doubt to the birth parent. If they are not worthy of our empathy and compassion, who is? It is also wise to think carefully about what you think you know. 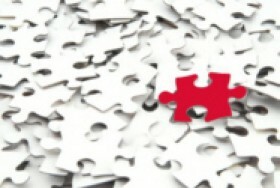 When we lack information, we often make assumptions and rely on what we imagine to be true. Parents need to think carefully and respond wisely when making these choices. The decision should always be what you feel will benefit your child in the long run. Of course it is important to let your child know that imaginings and assumptions are just that. You may not know what your child's birth mother looks like, but you can offer, "I never saw a picture of your birth mother, but I imagine that she is very pretty because you are so handsome!" When you imagine your child's birth mother, what images do you have? If negative images pervade, ask yourself, where do these images come from? Are there facts and circumstances unknown to you that might change this picture? Have you ever written a letter to your child's birth mother? Although she may never see it, this can be a good exercise. Think about what you would want to ask her about herself? What would you want her to know about you? Is there a fact about your life that if disclosed to the birth mother, you would want to explain? Imagine that a sister or someone you love is a birth mother. How would you want the child's adoptive parents to think, feel or speak about her? Although we often know little or nothing about birth parents in international adoption, we do know that an adopted child had a nine-month in-utero relationship with his birth mother, who we know for sure was present at his birth (two very important facts!). On the other hand, we often know nothing about the birth father's involvement in the pregnancy or adoption plan. As a result, most queries from adopted children and their parents concern birth mothers. Sooner or later (usually sooner), the time will come for the adoptive parent to "introduce" their child to his birth mother. "Introducing" your child to his birth mother is qualitatively different from "telling" him that he has one. Telling sounds like this, "You grew in another woman's body, your birth mother. We don't know anything about her." Introducing sounds like this, "We want you to know about your birth mother. You grew in her body for nine months while she took care of you. We didn't get to meet her, but she is special to us because without her, we wouldn't have you." In the first example, the parent is giving the child a piece of factual information in a style void of emotion and unwelcoming of questions and conversation. In the second example the parent is telling the child a fact, "you were born to someone else", but is also letting the child know that his birth mother holds a place of importance to them, his parents. This gives the child permission to be curious and ask questions. This is of special significance because there is no opinion more important to the young child than that of his parents. It is his parents who the young child looks to for approval and acceptance. Further, because children learn about birth parents before the process of individuation, what they hear or sense about their birth parents, they hear as essentially being about them. When you value your child's birth parents, you are telling your child that you value him!